This past Tuesday night, a group of scientists presented their findings on glass research conducted here in Corning. 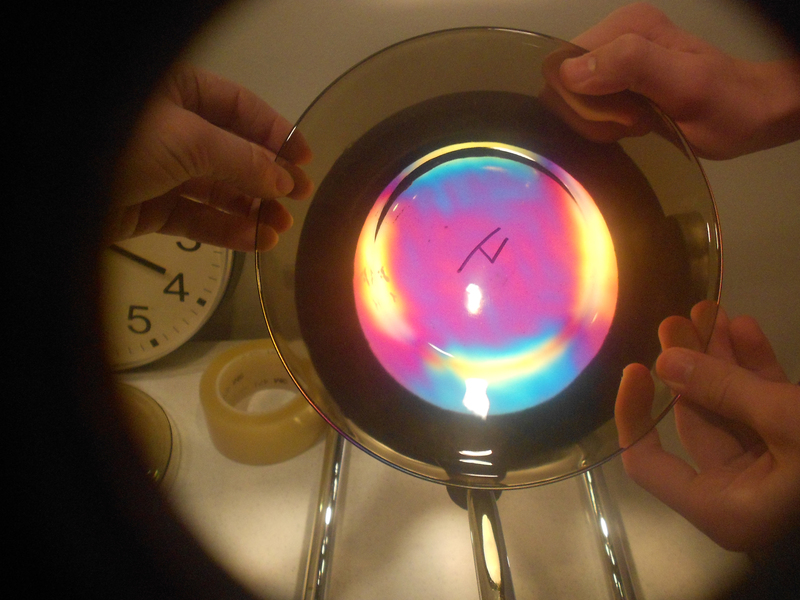 For the past fourteen weeks, they have been experimenting with color in glass and stress in glass using hands-on investigation thanks to the unique resources of the Corning community. Partnering with glass experts from the Museum’s Studio, the Rakow Research Library and scientists at Sullivan Park, Corning Incorporated’s research facility, this group—participants in the Museum’s Junior Scientists program—held a symposium to share their new knowledge of glass processes and properties. The Junior Scientists is an after-school program for students from regional Corning middle and high schools in grades seven through nine. Students work with Museum educators, local scientists, and glass experts to discover glass properties and processes, and to conduct scientific experiments within the realm of glass. The Junior Scientist program was recently recognized by the Association of Art Museum Directors (AAMD) in their newly published Next Practices in Art Museum Education which highlights innovative approaches to engaging the public with the arts through diverse learning opportunities. 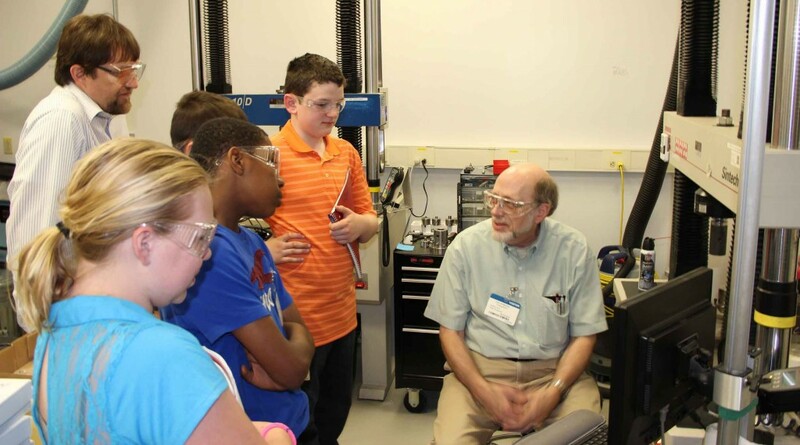 Students participating in the program take special advantage of the Museum’s Innovation Center where they learn about the science and technology of glass innovations through interactive exhibits. Students visit the Rakow Research Library to conduct research for their experiments, and they work hands-on with molten glass at The Studio. 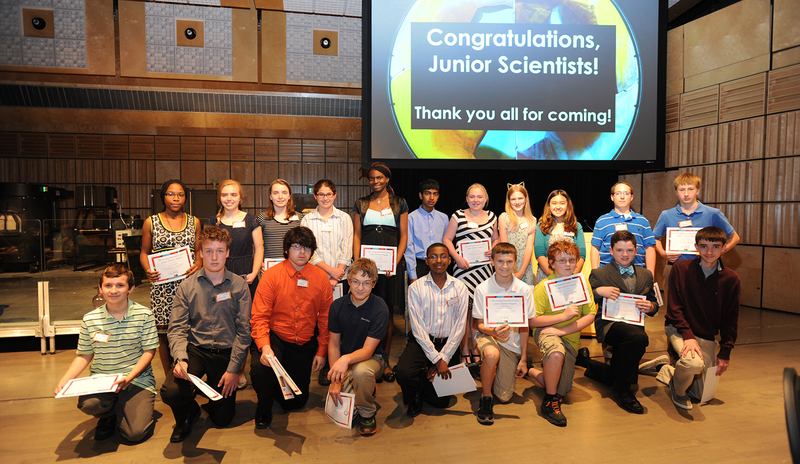 In small groups, students designed and conducted experiments and collected data, working with experts at the Museum’s Studio and with PhD scientists at Corning Incorporated’s research facility. This year, the program expanded to offer an additional strand of learning and students experimented with color in glass. The program meets one afternoon each week, March through mid-June. There is no cost to participate. Half of the spaces in the program are reserved for girls or students from underserved communities. Participating students are bused from their schools to the Museum or to the Sullivan Park research center free of charge. For more information, see www.cmog.org/junior-scientists or contact the education department at jrscientists@cmog.org or 607.438.5119.